简介: This course concentrates on recognizing and solving convex optimization problems that arise in applications. The syllabus includes: convex sets, functions, and optimization problems; basics of convex analysis; least-squares, linear and quadratic programs, semidefinite programming, minimax, extremal volume, and other problems; optimality conditions, duality theory, theorems of alternative, and applications; interior-point methods; applications to signal processing, statistics and machine learning, control and mechanical engineering, digital and analog circuit design, and finance. 简介: קורס זה עוסק במתמטיקה של בית ספר תיכון מנקודת מבט מתקדמת. מטרתו העיקרית היא לחשוף סטודנטים לעתיד לאופן שבו מתמטיקאים רואים מקצוע זה, ובכך להכין אותם ללימודי מתמטיקה ברמת אוניברסיטה. 简介: Advanced Analytic Methods in Science and Engineering is a comprehensive treatment of the advanced methods of applied mathematics. It was designed to strengthen the mathematical abilities of graduate students and train them to think on their own. 简介: This course analyzes the functions of a complex variable and the calculus of residues. It also covers subjects such as ordinary differential equations, partial differential equations, Bessel and Legendre functions, and the Sturm-Liouville theory. 简介: The topics for this course cover various aspects of complexity theory, such as the basic time and space classes, the polynomial-time hierarchy and the randomized classes . This is a pure theory class, so no applications were involved. 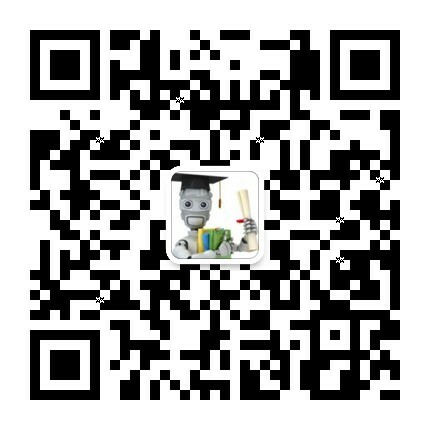 简介: The focus of the course is the concepts and techniques for solving the partial differential equations (PDE) that permeate various scientific disciplines. The emphasis is on nonlinear PDE. Applications include problems from fluid dynamics, electrical and mechanical engineering, materials science, quantum mechanics, etc. 简介: Ce cours introduit le concept de Probabilité, dont la puissance permet de modéliser d'innombrables situations où le hasard intervient. Il est basé sur le livre de Sylvie Méléard "Aléatoire : introduction à la théorie et au calcul des probabilités" qui résulte lui-même du cours de tronc commun de première année de l'École polytechnique. 简介: This course is taught so that students will acquire a solid foundation in algebra. The course concentrates on the various functions that are important to the study of calculus. 简介: Conceptual videos and worked examples from basic algebra through algebra 2. Includes videos from the former algebra worked examples playlists. 简介: This undergraduate level Algebra I course covers groups, vector spaces, linear transformations, symmetry groups, bilinear forms, and linear groups. 简介: This undergraduate level course follows Algebra I. Topics include group representations, rings, ideals, fields, polynomial rings, modules, factorization, integers in quadratic number fields, field extensions, and Galois theory. 简介: This is an introductory course in algebraic combinatorics. No prior knowledge of combinatorics is expected, but assumes a familiarity with linear algebra and finite groups. Topics were chosen to show the beauty and power of techniques in algebraic combinatorics. Rigorous mathematical proofs are expected. 简介: This course provides an introduction to the language of schemes, properties of morphisms, and sheaf cohomology. Together with 18.725 Algebraic Geometry, students gain an understanding of the basic notions and techniques of modern algebraic geometry. 简介: This course covers the fundamental notions and results about algebraic varieties over an algebraically closed field. It also analyzes the relations between complex algebraic varieties and complex analytic varieties. 简介: This course is a first course in algebraic topology. The emphasis is on homology and cohomology theory, including cup products, Kunneth formulas, intersection pairings, and the Lefschetz fixed point theorem. 简介: In this second term of Algebraic Topology, the topics covered include fibrations, homotopy groups, the Hurewicz theorem, vector bundles, characteristic classes, cobordism, and possible further topics at the discretion of the instructor. 简介: Ce cours contient les 7 premiers chapitres d'un cours donné aux étudiants bachelor de l'EPFL. Il est basé sur le livre "Introduction à l'analyse numérique", J. Rappaz M. Picasso, Ed. PPUR. Des outils de base sont décrits dans les 5 premiers chapitres. Les deux derniers chapitres abordent la question de la résolution numérique d'équations différentielles. 简介: Analysis I covers fundamentals of mathematical analysis: metric spaces, convergence of sequences and series, continuity, differentiability, Riemann integral, sequences and series of functions, uniformity, interchange of limit operations. 简介: This course continues from Analysis I (18.100B), in the direction of manifolds and global analysis. The first half of the course covers multivariable calculus. The rest of the course covers the theory of differential forms in n-dimensional vector spaces and manifolds. 简介: In this course we’ll explore complex analysis, complex dynamics, and some applications of these topics. 简介: This course is an introduction to analytic number theory, including the use of zeta functions and L-functions to prove distribution results concerning prime numbers (e.g., the prime number theorem in arithmetic progressions). 简介: Explore the greatest problems we have faced from prehistoric through modern times. 简介: The first math topic. Start here if you want to learn the basics (or just want to make sure you know these topics). After this, you should be ready for algebra. This topic includes videos from the former developmental math playlists. 简介: This course is a study of Behavior of Algorithms and covers an area of current interest in theoretical computer science. The topics vary from term to term. During this term, we discuss rigorous approaches to explaining the typical performance of algorithms with a focus on the following approaches: smoothed analysis, condition numbers/parametric analysis, and subclassing inputs. 简介: This is a variation on 18.02 Multivariable Calculus. It covers the same topics as in 18.02, but with more focus on mathematical concepts. 简介: Calculus One is a first introduction to differential and integral calculus, emphasizing engaging examples from everyday life. 简介: Calculus Two: Sequences and Series is an introduction to sequences, infinite series, convergence tests, and Taylor series. The course emphasizes not just getting answers, but asking the question "why is this true?" 简介: This is the first course in a two-part sequence on Calculus with Theory, 18.014 and 18.024. The course is taught using the textbook by T. Apostol, "Calculus" Vol. I Second Edition (1967) and the additional course notes by James Raymond Munkres, Professor of Mathematics, Emeritus. 简介: This course provides a brisk, entertaining treatment of differential and integral calculus, with an emphasis on conceptual understanding and applications to the engineering, physical, and social sciences. 简介: The goal of this class is to prove that category theory is a powerful language for understanding and formalizing common scientific models. The power of the language will be tested by its ability to penetrate into taken-for-granted ideas, either by exposing existing weaknesses or flaws in our understanding, or by highlighting hidden commonalities across scientific fields. 简介: Ders çok değişkenli fonksiyonlarda türev ve entegral kavramlarını geliştirmek ve bu konulardaki problemleri çözme yöntemlerini sunmaktadır. Ders gerçek yaşamdan gelen uygulamaları da tanıtmaya önem veren “içerikli yaklaşımla” tasarlanmıştır. 简介: Ders çok değişkenli fonksiyonlardaki iki derslik dizinin ikincisidir. Birinci ders türev ve entegral kavramlarını geliştirmekte ve bu konulardaki problemleri temel çözme yöntemlerini sunmaktadır. Bu ders, birinci derste geliştirilen temeller üzerine daha ileri konuları işlemekte ve daha kapsamlı uygulamalar ve çözümlü örnekler sunmaktadır. Ders gerçek yaşamdan gelen uygulamaları da tanıtmaya önem veren “içerikli yaklaşımla” tasarlanmıştır. 简介: This course analyzes combinatorial problems and methods for their solution. Prior experience with abstraction and proofs is helpful. Topics include: Enumeration, generating functions, recurrence relations, construction of bijections, introduction to graph theory, network algorithms and, extremal combinatorics. 简介: Combinatorial Optimization provides a thorough treatment of linear programming and combinatorial optimization. Topics include network flow, matching theory, matroid optimization, and approximation algorithms for NP-hard problems.